… Did that just say Grilled Pizza? 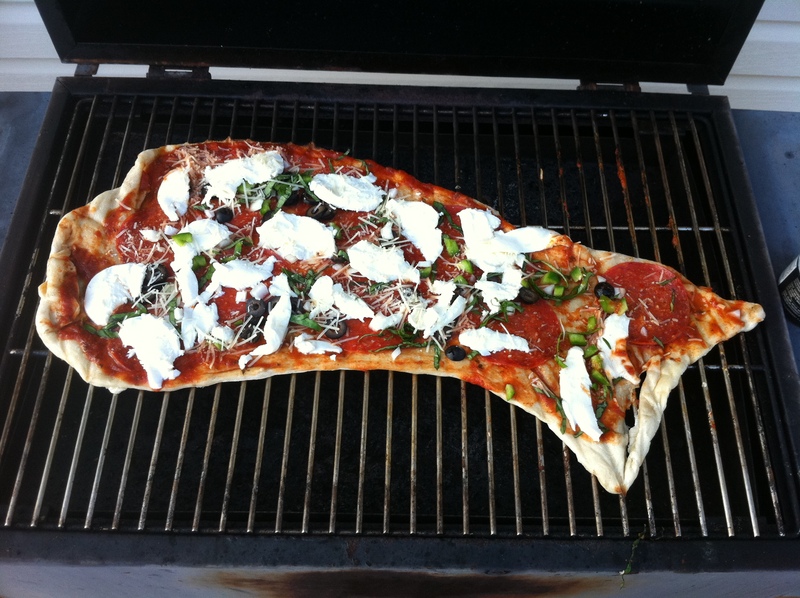 … You Don’t Grill Pizza! 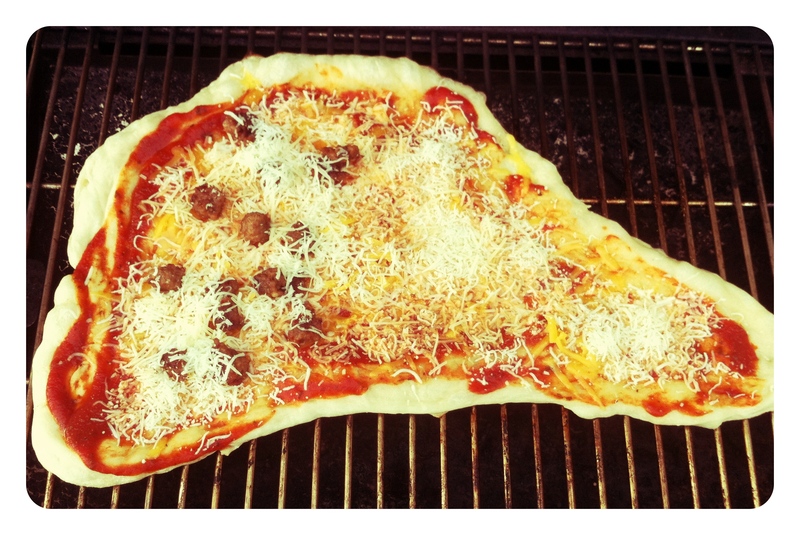 … Pizza, at least GOOD pizza comes from someone who can toss a great pie in some huge oven! Really you can grill Pizza, and it tastes really swell! … Swell you say, let me here you idea. Okay, the idea is not original to me, but here is how I make it happen. 2. Prep that grill, I run mine about 350 degrees and clean the bars up nice. (sometimes I will add a bit of wood for an even richer smoked flavour. 3. We stretch the do over the backside of a cookie pan and I have found I can just flip the pan over onto the grill and then peel the Pan off. 4. 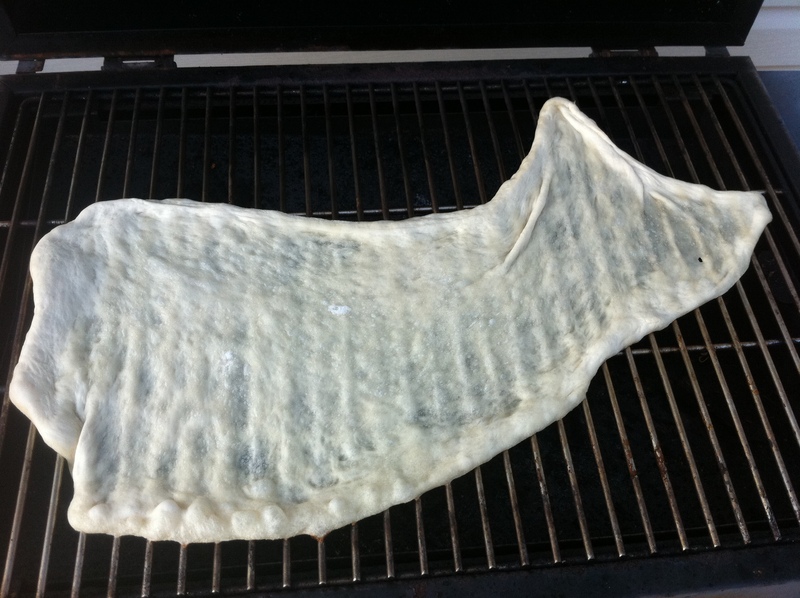 I then grill the dough for about 3-4 mins on that side then flip it over (try and be careful of your grills hot spots. You can burn the pizza in no time! 5. Now add your Sauce, toppings, etc to your preference. Fresh Stuff tastes better, but do what you like! 6. At this point you need about another 9-12 mins to finish it off, I cover mine up and keep a close watch on the hot zones. 7. Slide off and enjoy! This entry was posted on August 22, 2011 by tacticalpreacher. It was filed under Food and was tagged with Camping, Grilling, Outdoor, Pizza.